Today was judgement day for many in the Paratriathlon world - and for some, they will feel as if the axe has fallen - and not in their favour. For others, quiet celebration that their dreams are still alive. In July this year I put together a piece summarising the current status of Paratriathlon within the 2016 Paralympic Games. In simple terms, within Paratriathlon racing there are (from the 2014 season), five Paratriathlon categories raced within the ITU structure. For the Paralympics, only three men's and three women's catgeories from that five will be included (i.e. for athletes in two of the categories, their discipline will NOT be a Paralympic medal event). 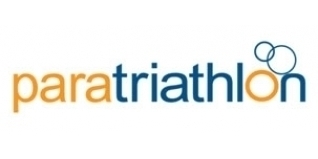 (** Note 'layman's terms' used above for brevity and clarity - the full details of the Paratriathlon ITU categorisation methodology can be found HERE). Women's PT1 (Wheelchair) - Jane Egan (Silver 2014), World Champion 2010, 2011, 2013, Silver 2012. Karen Darke, European Champion 2014, World Champion 2012. Women's PT3 (Moderate Physical Impairment) - Sarah Pearson (Bronze 2014). European Silver 2014. Men's PT5 (Visually Impaired) - Dave Ellis (5th 2014) and European Silver 2014, Chris Goodwin (6th 2014) and European Gold 2014. Other familiar names inpacted include Iain Dawson and Haseeb Ahmad, both Bronze medal winners at the 2013 World Champs in London. Today's news will come as a relief to the likes of Melissa Reid and Alison Patrick, both medal winners in the Women's PT5 category at the Edmonton World Champs - so it really is a day of highs and lows for the athletes involved. This announcement is likely to change - and quite quickly one would imagine - the future prospects for many of these athletes. British Triathlon have in many ways been one of the pioneers and leading nations in the development of Paratriathlon as an elite sport, with advanced programmes now in place with significant funding backing it - £2,328,599 for the Paralympic programme cycle to Rio 2016. That money of course comes with objectives - and primary to that is to deliver medals on the Olympic / Paralympic level (along with World and European success). If your category is no longer a Paralympic event for Rio 2016 (and currently, no clear guide as to whether is may make the 2020 Tokyo Games, outside of a committment to campaign for future inclusion), those holding the purse strings will almost certainly have to make some tough decisions, very quickly. A very tough day indeed for all of the athletes impacted. Following the International Paralympic Committee's request for ITU to collect further data-based information and details on paratriathlon sport classes, the IPC has this week decided on the three remaining medal events that will debut at the 2016 Rio de Janeiro Paralympic Games. The final men's medal event will be filled by the PT2 sport class, while PT2 and PT5 will complete the medal events for the women. The events join the men's PT1 and men's and women's PT4 sport classes announced in July 2014. The overall programme represents an even split of medal events across genders. Following July's announcement, the ITU and IPC have been working together to analyse the remaining sport classes ahead of the difficult decision on the final three medal events for paratriathlon's debut in Rio. While paratriathlon's debut at the Rio De Janeiro Paralympic Games is an exciting cornerstone moment for the sport, ITU hopes to include all five men's and women's sport classes on future Paralympic programmes. "We will remain committed to both campaigning for the inclusion of all remaining sport classes in Tokyo 2020, as well as to their continued development at ITU paratriathlon events," said ITU President and IOC Member Marisol Casado. "ITU will continue to offer top quality competitive races in all of its sport classes, including World Championships every year, as well as development and classification opportunities. We are confident that if we all - paratriathletes, NFs, LOCs and ITU - continue developing during the next years, that all categories will be present at the Tokyo 2020 Paralympic Games."